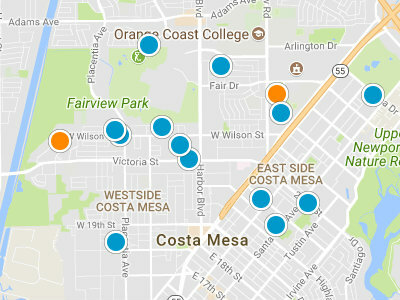 Pacesetter Homes are located in the Mesa Verde section of Costa Mesa. Pacesetter Homes are located on the highly sought after Mesa Verde Inner Loop. The Mesa Verde Inner Loop encompasses all homes inside Mesa Verde Drive East and Mesa Verde Drive West, forming a loop, with the border on the side being Adams Avenue. Pacesetter was built in the early 1960’s. 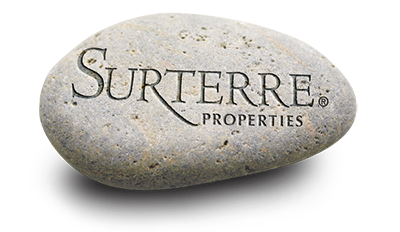 Homes in this neighborhood are between 1,500 square feet and 2,200 square feet and are single level in Pacesetter. These homes have large backyards many with fruit trees and swimming pools. Most homes in this neighborhood have been completely renovated and modernized. The prices range from 455,000 dollars and 755,000 dollars. Pacesetter is great place to start your search for a family home in the Costa Mesa real estate market. Students can walk to Adams Elementary School which is adjacent to Mesa Verde Park. Mesa Verde Park is at the center of the loop area, it has play equipment, mature trees and picnic areas. Shopping and dining are available nearby at the South Coast Plaza and Orange County Market Place. The beach is a short bike ride from Pacesetter, down the Santa Ana River Trail.